The aim of this site is to allow prospective and current trainees to obtain relevant and updated information in post graduate surgical training in Malaysia. Master in Surgery is a structured training programme of 4 years duration. Candidates must have satisfactory report from supervisors. This can begin immediately after intership/ housemanship. Consisting of at least four periods of six month, within posts approved by the Colleges. Must attend a course in Basic Surgical Skills. ATLS and course in Critical Care recommended. 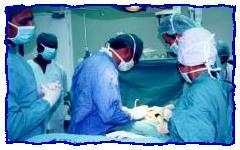 Training takes place in one of specialities of Surgery .i.e. How to apply for Surgical Skills Course?